Pillar Partners play a vital and proactive leadership role in creating a culture and a community full of leaders committed to working together for community excellence, pride, and progress. Our partners help to create a more Vibrant, Creative and Engaged community by supporting unique Member programming, Public Policy work, and Signature events. Their return on investment with the Chilliwack Chamber of Commerce creates a heightened awareness of their businesses through valuable recognition and activation opportunities, and a tangible demonstration of their commitment to building an even better Chilliwack. Community Futures is a not-for-profit business development organization that is federally funded through Western Economic Diversification Canada. It is the only organization throughout rural B.C. with a mandate for small business and community economic development. Since 1997, Community Futures South Fraser has been helping entrepreneurs and small business owners in the Abbotsford and Chilliwack areas turn their dreams into reality. They offer a variety of support services, workshops, and a specialized self-employment program through WorkBC. For Individuals with a viable business venture, Community Futures South Fraser is able to offer a start up business a loan when access to credit is a challenge from other financial lenders. They equip new and existing business owners with the skills and confidence that they need to succeed. Helping your business is their business. Molson Coors Canada, founded in 1786 by English immigrant John Molson in Montreal on the banks of the St. Lawrence River, is North America’s oldest brewer. Molson was a tenacious entrepreneur and a passionate innovator. He developed his own strain of yeast for brewing and built the first entirely Canadian-made steamboat. The pride of craftsmanship instilled by John Molson over 229 years ago is what makes Molson’s leading beer brands, including Molson Canadian, Coors Light, and Rickard’s, so popular with consumers. We are the largest Canadian brewer with seven brewery facilities and 3,000 employees. John Molson was also a strong civic steward who led a group of private citizens to found Montreal’s first public hospital. The company continues Molson’s commitment to corporate citizenship through charitable initiatives and sports and entertainment sponsorships. At Baker Newby LLP we take great pride in supporting our community. Not only do we support our community on a corporate level, but we also encourage our lawyers and staff to get involved personally in nearly all aspects of community affairs, including holding positions with numerous local and charitable organizations. In addition to supporting the involvement of our personnel in various organizations, we are also proud to financially support numerous charities and other local organizations. From providing prizes for local golf tournaments, to being the corporate sponsor for charitable organizations and events, we are pleased to support the community in which we live. We strongly believe that being a good corporate citizen means giving back to the community in which we live and work, and we are proud to do this on a daily basis on both a corporate and individual basis. PROUD of our people, our business, our community At Chances Chilliwack, we recognize that our volunteer efforts and presence in the community is as integral to our business as the operation itself. As a member of the Great Canadian family, Chances Chilliwack is humbled by the opportunity be an active community partner in Chilliwack and the region. We help create and develop strong Canadian businesses through financing, advisory services and capital, with a focus on small and medium-sized enterprises. We support entrepreneurs in all industries and at all stages of development from 123 business centres across Canada and online at bdc.ca. We’re committed to the long-term success of Canadian entrepreneurs and we understand that a business is more than just dollars and cents. We complement the role played by private-sector financial institutions and have been serving Canadian entrepreneurs since 1944. We are a financially sustainable Crown corporation and we operate at arm’s length from our sole shareholder, the Government of Canada. 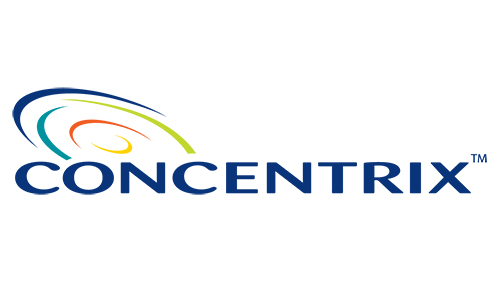 Who is Concentrix? We’re the 2nd largest provider of customer engagement services in the world, with unparalleled ability to deliver high-value services globally. We are a company that makes other companies better by improving their customers’ experience. Since 2001 Concentrix has been one of Chilliwack’s largest employers when we opened our first western Canada location under the name Stream. Today, with operations in 40 countries and almost 250,000 employees worldwide, Concentrix continues to be a great place for people to start, change and grow their careers. Our vision – We will be the greatest customer engagement services company in the world, rich in diversity and talent. We are proud that the people of Chilliwack play an important role in bringing this vision to life, and making our company, Different by Design TM.